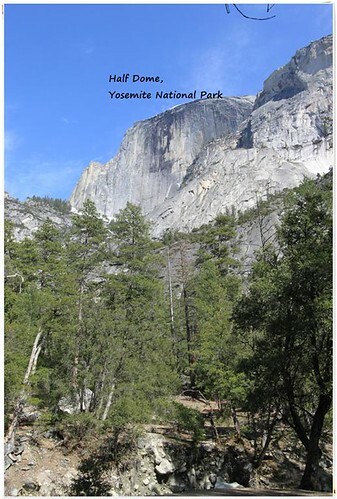 Referring to the Yosemite National Park Service website, Yosemite National Park covers nearly 1,200 square miles of mountainous terrain in the Sierra Nevada of California. 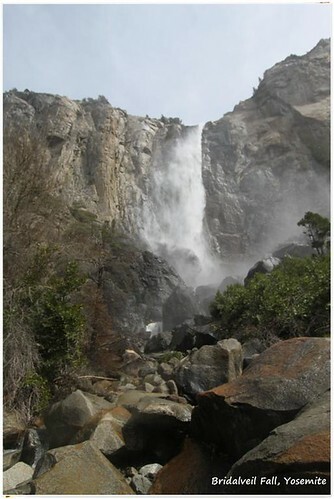 It is considered the most popular national park in California which is crowded with tourists on weekends and public holidays. 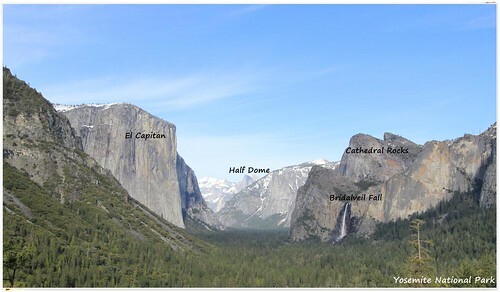 Yosemite National Park is located 200 miles of east of San Francisco which requires you to drive for around 3 1/2 hours in order to get there. 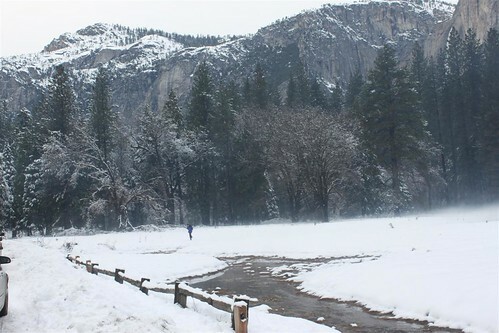 Yosemite National Park opens every day throughout the year but you need to monitor on the weather condition during the winter season. 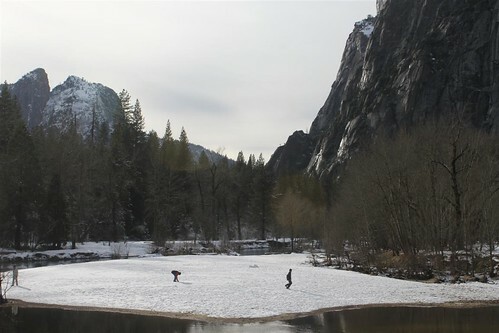 It is not advisable to visit Yosemite National Park during the winter if it's your first visit there. 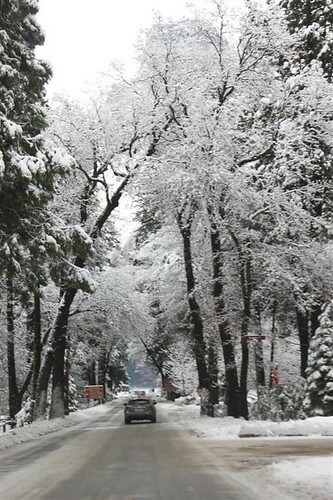 Driving along the icy and snowy road during the winter isn't the same experience as your normal driving skills on the normal road. A lot of precautions need to take note like, you need to drive very slow (between 30-35 miles per hour) even before and after installing tire chain throughout the journey in order to control and prevent your vehicle from being skidded. 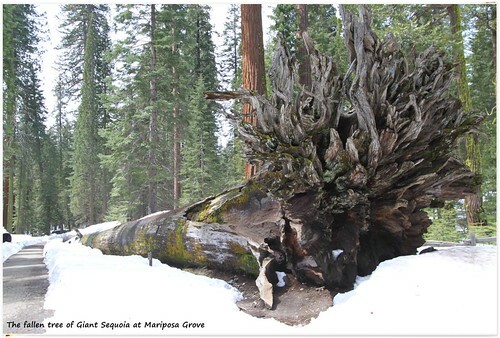 Winter storm occurs frequently during the winter thus, many of the areas in Yosemite National Park will be closed. 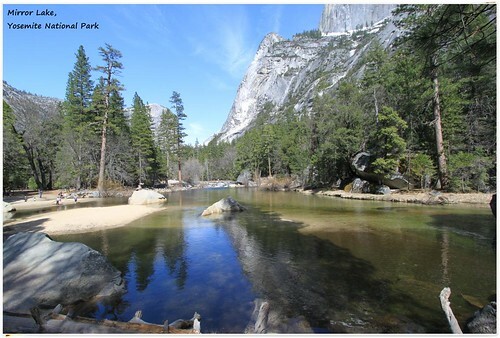 Therefore it's highly recommended to visit Yosemite National Park during the spring and fall but try to avoid visiting during the summer as it tends to be overcrowded with the locals and tourists. 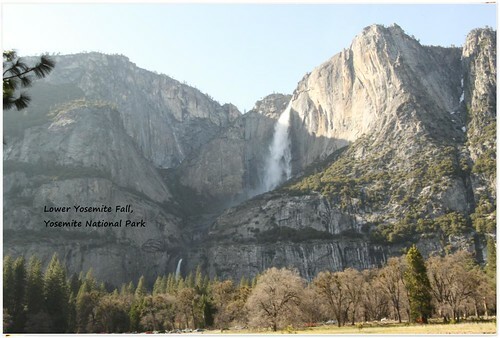 There are many things to do at Yosemite National Park. 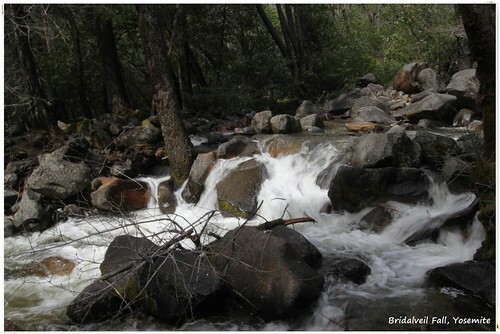 You can choose to hike or bike along the easy or difficult trails or even you can prepare your own picnic while enjoying the nature there. 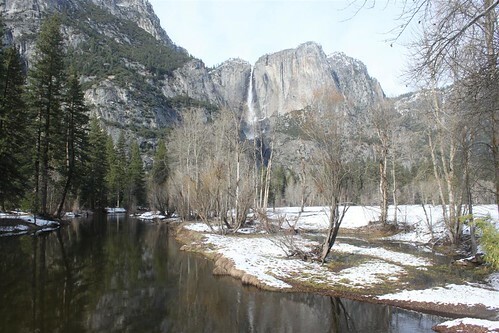 Yosemite Valley is famous for its highest waterfalls including Yosemite Falls, meadows, cliffs and Mariposa Grove of giant sequoia trees which can be accessible by cars all year round except during the winter which need to be monitored on the weather condition. 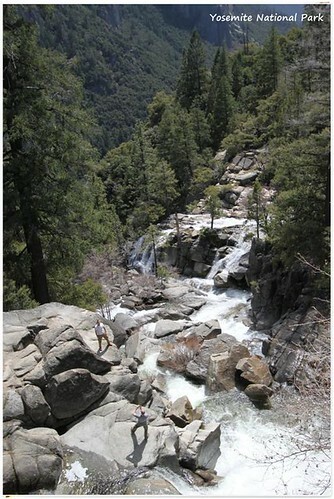 On the way to Yosemite National Park. 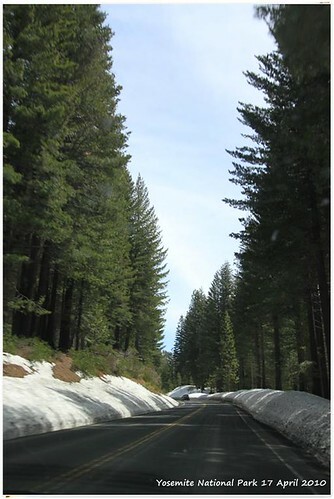 The path was still covered with snow after the winter season. 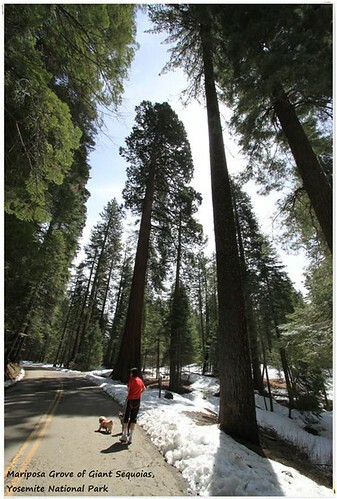 The authorities closed the road to cars at Mariposa Grove due to unsafe condition to drive. We had to walk for 6 miles (9.7 km) with dogs to and fro the parking lots. 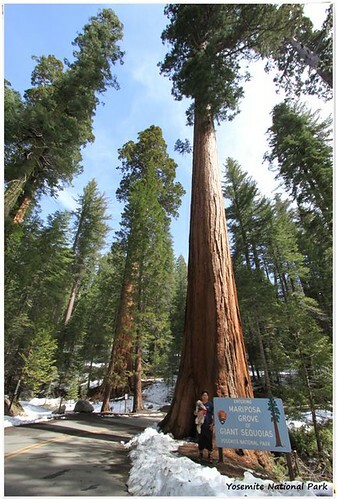 Look at us, being the tiny humans which are surrounded by giant sequoia trees at Mariposa Grove. 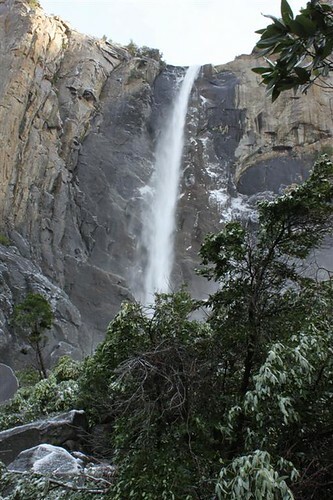 These pictures were taken at Yosemite National Park during winter. 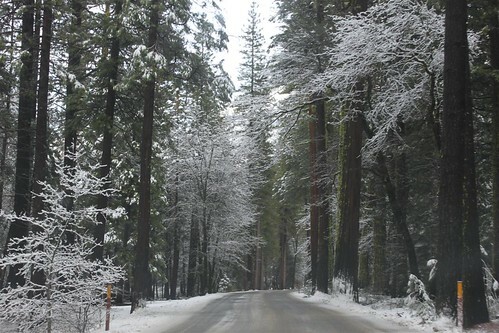 Many of the areas were closed due to bad weather condition which was also unsafe to drive and walk around. Foggy came in the late afternoon. It's time to head home before it's too dark to drive. 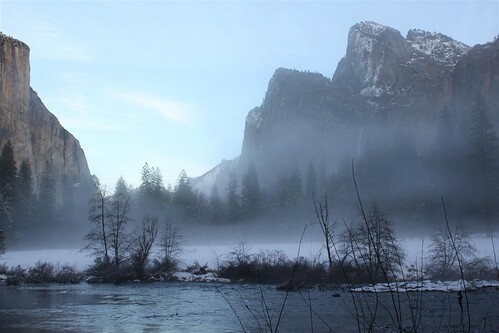 Heavy fogs could be seen everywhere which became more obstacle with low visibility to drive. 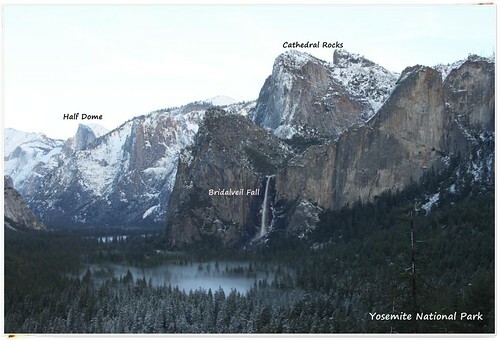 An overview of Yosemite National Park during winter which was taken at the highway. 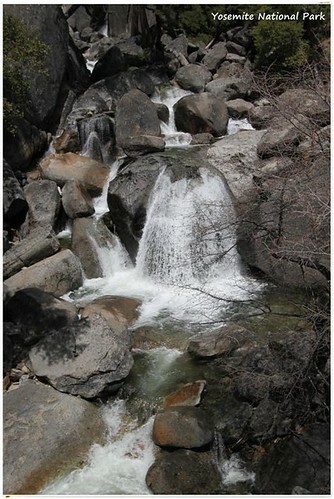 Good Service and very instructive site! Great hand for people looking for someone like ratecompares.com! They have helped me a lot to get me out of the dilemma! Suggested to all!